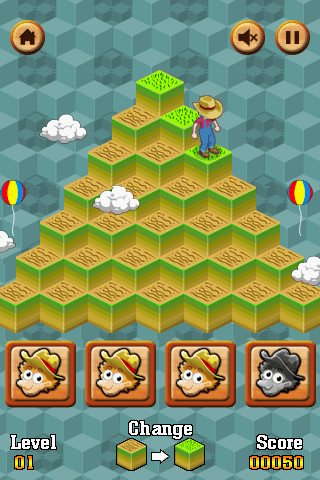 Game Description:Hillbert is havin a mighty tough time getting them rice terraces harvested. If its not the blessed rain and lightening, its them darn frogs that are givin him a whuppin. 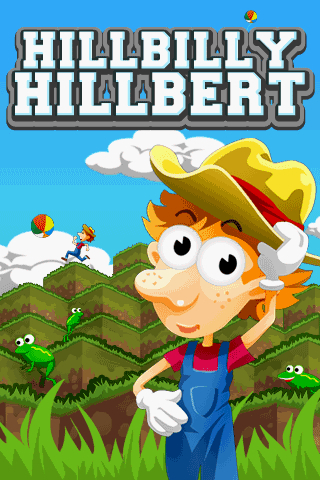 So could y'all help Hillbert git his work done before he is plumb tuckered out.Instructions:Use your mobile keypad (2,4,6,8) to control Hilbert. Jump from square to square and change the colour to green. Avoid the frogs and the lightening bolts. 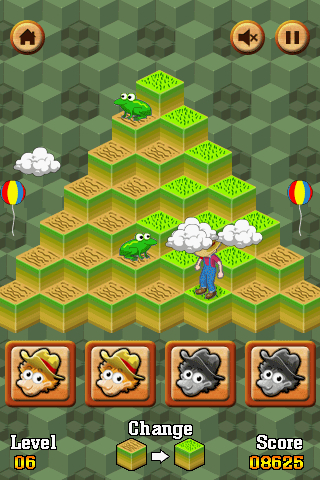 Grab hold of the hot air balloons to escape from frogs that follow you. Earn a bonus life every 10,000 points.